Battery Mode 3.8.9.110 is tool for PC Windows offers its functioning efficiently. It makes easiest to configure your brightness and power settings. 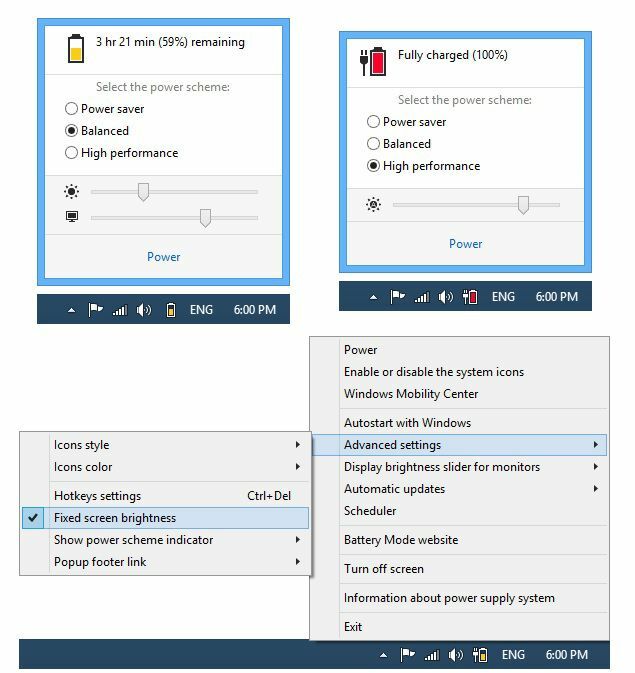 Windows battery indicator replacement with advanced power management and backlight control. Battery Mode allows you to change current power scheme right from the battery popup window. You can setup a schedule to change power scheme automatically. You can use Battery Mode to control backlight on both internal and external monitors.